This is the last opportunity to purchase a ticket for a seat on the bus! There are only 4 tickets left. Tickets are $40 ($45 for non-members) and include bus transportation, lunch and a “behind the scenes” tour! It has been suggested to wear close-toed shoes or tennis shoes. Remember to wear a hat and your sun screen! Water will be available for us. Please make sure you hydrate throughout the day! Please be at the Madera Clubhouse no later than 8:45am for check-in as the buses will depart from the Clubhouse promptly at 9:00am on Monday, March 28, and return around 4:00pm. If you plan on purchasing tickets for margaritas or wine at lunch please bring correct change as we will not be keeping a bank on the bus. Thanks for your help with this! There will be free time to visit the gift shop and/or explore the zoo on your own. Your bus leader will explain where you will need to be when. Be sure to bring any loose change, dollars or checks to stuff in the Baby Bottles for the upcoming annual baby shower! I wonder which bus will collect the most that day! It will be a fun and friendly competition. 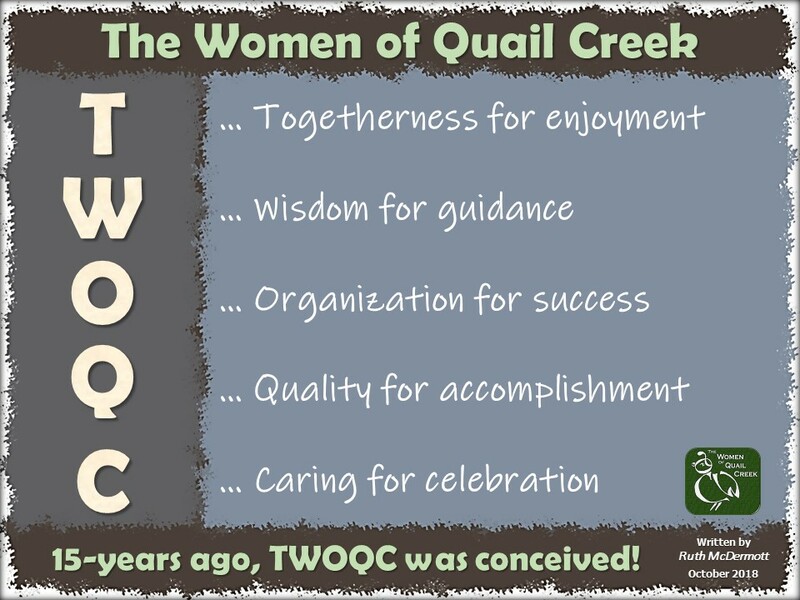 TWOQC would like to create and submit a survey for all of the members to be able to express their likes and suggestions for the club. If this is something you would enjoy creating and participating in please contact carolmutter48@gmail.com. Total of families being helped is 30: 12 Military Moms and 18 Military Dads! How exciting! Many of you have seen and already purchased the awesome aprons that TWOQC are currently selling to support YOTO. What is YOTO, you ask? This is a group that is assisting homeless teens in the Green Valley/Sahuarita area. 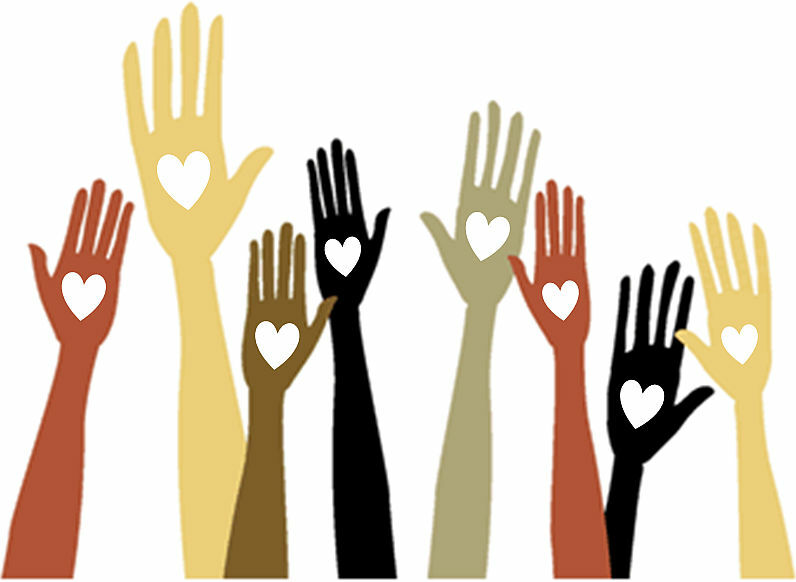 The program is a dropout prevention program that supports the high school graduation of homeless unaccompanied youth who are in 6th grade up to age twenty-one. They have a very well organized process for rewarding these teens to be accountable for their actions and their future. They will be available on Saturday, March 12 from 10:00am to 4:00pm at the TWOQC table at the Madera Clubhouse. There are five colors and sell for $18 each or two for $35. These aprons are not just great in the kitchen – they are also fun for BBQ, crafting or working with tools in the garage! Be thinking ahead for Christmas or birthday gifts! Watch for a special announcement in the FMM next week! 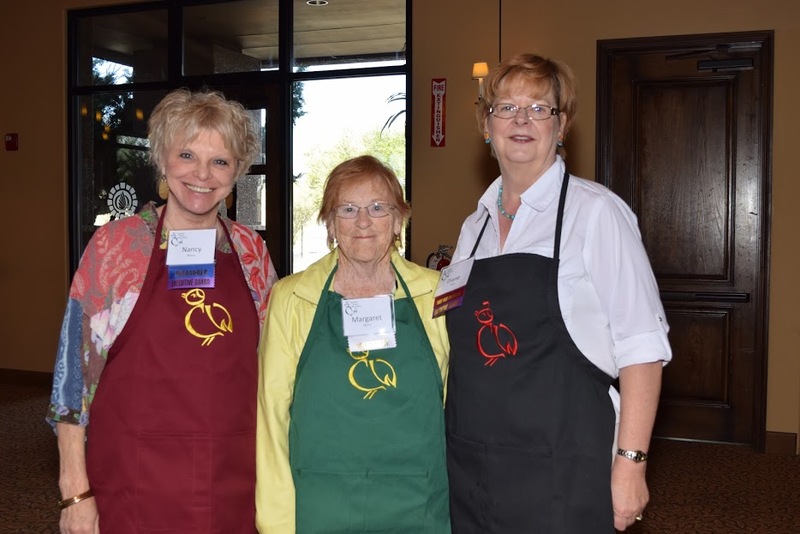 ♥ April 25 – 6:30pm …Prickly Pear Cactus presented by Cheri Romanoski, and TWOQC Scholarship Award Presentation. You might start preparing for our semi-annual collection for the food bank. We will be taking donations at this program! 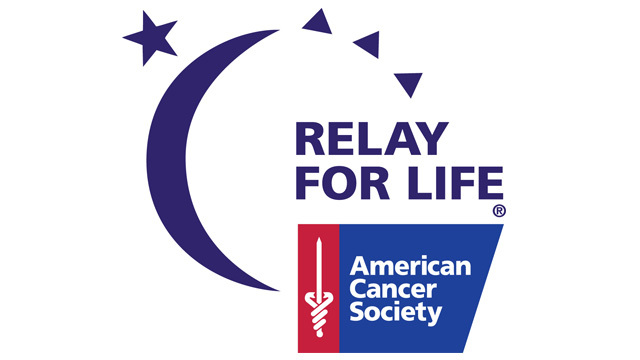 The American Cancer Society Relay For Life movement is the world’s largest and most impactful fundraising event to end cancer. To register or donate, please visit: QUAIL CREEK FIGHTS BACK.